It's great to receive recognition for the time, effort and care required in family history writing! Yesterday I won the Alexander Henderson Award 2012 for my family history book Southwark Luck, the story of Charles Homer Martin, Ann Forrester and their children. It’s an Australia-wide competition, run by the Australian Institute of Genealogical Studies in Melbourne. Here I am, receiving the award from AIGS President Gail White at the lunch, attended by about 150 people. It was also an important occasion for the AIGS, which celebrates its 40th birthday this year. We are very grateful for their efforts in running the annual AIGS Awards, especially the volunteer efforts of the judges, experts in their field, who have to read all the entries and draw conclusions. All three books were printed by Sylvie and Michael Blair of BookPOD. They do a wonderful job. Our books are available for purchase through the BookPOD website - just click on the Family History tab to make your selection. BookPOD provides a great way to sell your books online without all the hassle and expense of running a ‘shopping cart’ system yourself. By the way, my book ‘Paul Bushell, Second Fleeter’ was submitted two years ago as an entry for the Alexander Henderson Award - BUT, along with Mary Anne Gourley’s book, it was deemed by the judges to be a biography rather than a family history and was disqualified. Both books were set aside for a year (by the AIGS), for consideration in the inaugural Don Grant Award for biography, but my book was 'lost in the system' somewhere and never went before the judges. 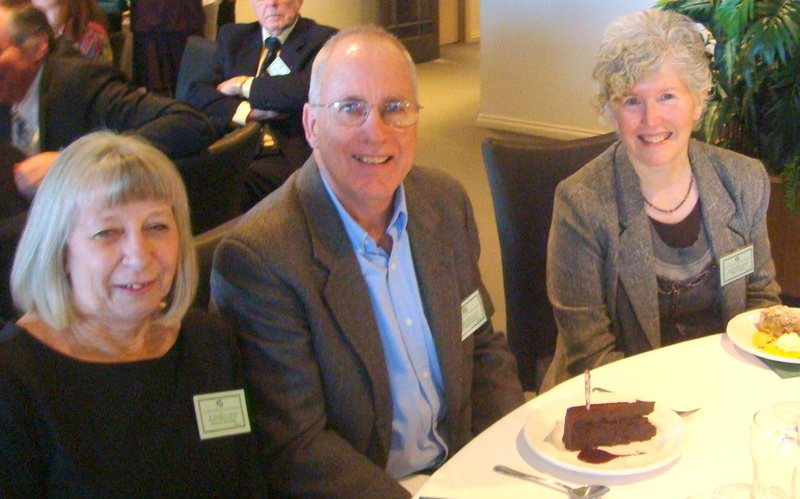 At the lunch yesterday, I was seated next to the winner of the first Don Grant Award, Dr Geoffrey Morgan, active in the Queensland Family History Society. The second place-getter in the Alexander Henderson Award was Patricia Kennedy from NSW – also seated at my table. She’s a graduate of SAG’s Diploma course in Family History and her card reads ‘genealogist and historian’. Given the market-place constraints of our genre, all three of us are testaments to the worth of setting up a family history book yourself, in Word, saving in PDF format, and self-publishing.